Enrollment in Immaculate Heart Middle School's Summer Program is open. Click HERE for more information or to enroll now! Click HERE to view the complete course catalogue, and click HERE to register online. 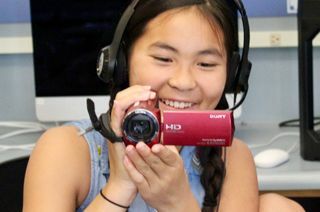 Girls entering grades four through eight can sign up for one, two and four-week classes on educational and engaging subjects, including Animal Communication and Behavior, Coding and Robotics, Cooking Workshops, Panda Sports, and more. The 2019 summer prorgam runs from June 17 through July 12. Students may register for up to three morning courses and a variety of afternoon classes and workshops. Be sure to register before enrollment closes on Friday, May 24! If you have any questions, please contact Gina Finer.